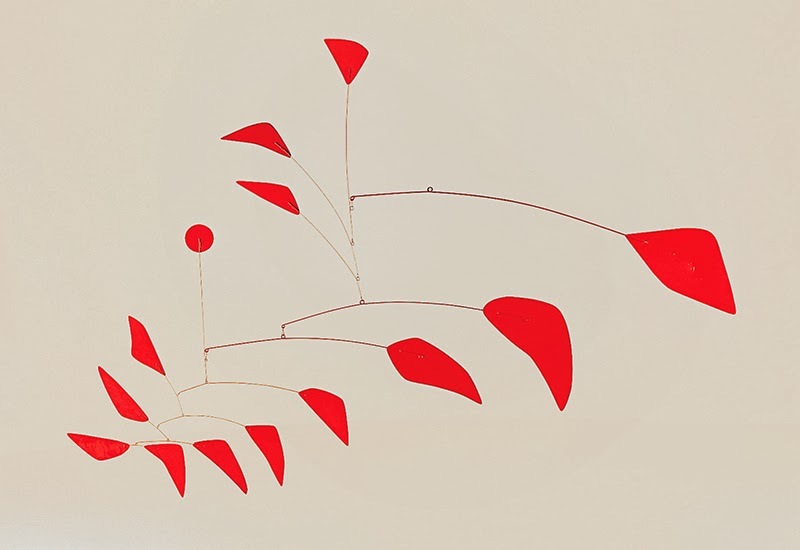 Creativity strives on the careful balance of control and letting go, which few artworks embody more gracefully than Alexander Calder’s mobiles, the suspended, freely-moving structures he invented in the early 1930s. Reacting to the slightest changes in the air around them, the mobiles are delicately dynamic and move with a natural randomness that looks deceptively simple. They actually require quite a bit of calculation involving what gravity does to a mass in movement, as well as very precise assembly. 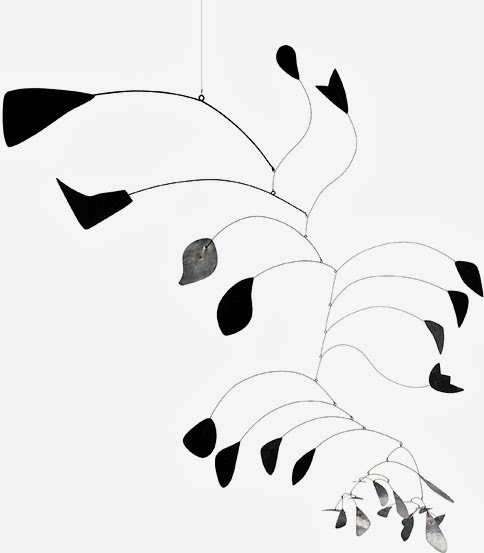 In other words, Calder carefully designed possibilities of movement and then gave up control to nature, to the moment. The mobiles’ shapes are abstract and reveal the surrealist influence of Calder’s friend Joan Miro, but in many ways they manage to blend the abstract with the organic forms of nature in their endless variety. Some of the mobiles evoke flower petals suspended in mid-air, or whirling leaves, others a shoal of fish, a prehistoric creature, or the sudden visualization of sounds, as some of the titles suggest. 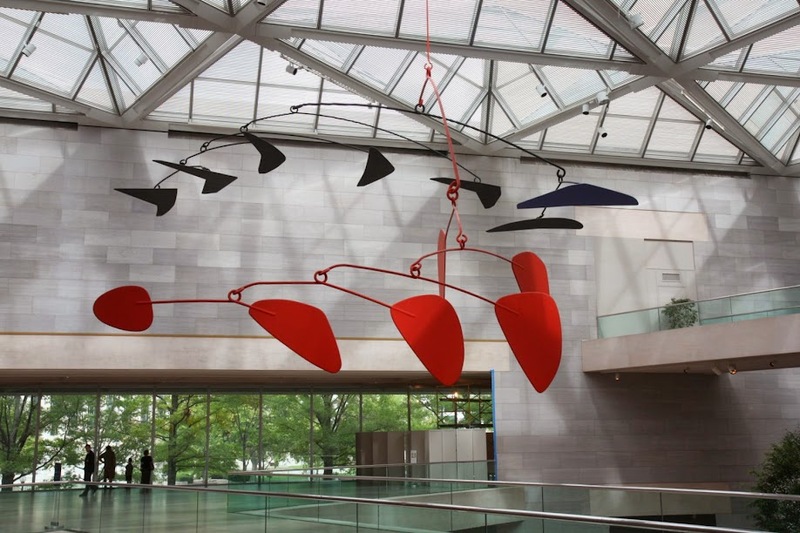 Alexander Calder, Triple Gong, 1951, National Gallery of Art, Washington, D.C. 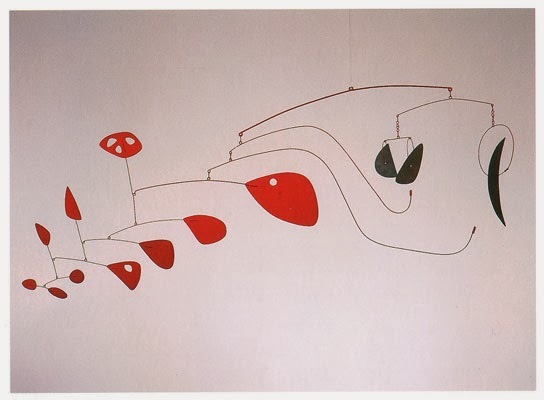 The National Gallery has a large collection of Calder’s works, and more can be seen at the Whitney Museum of American Art and the Museum of Modern Art in New York. The Centre Pompidou in Paris also has several pieces by Calder, as does the Queen Sofia Museum in Madrid. The mobiles are definitely worth a trip, as pictures don’t do them justice. 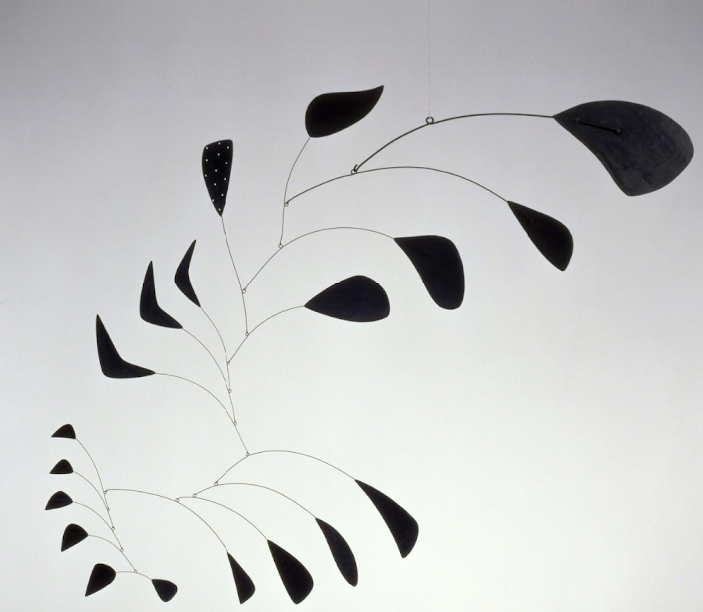 Calder’s mobiles are not simply about balance in relation with gravity. Their ever-changing forms manage to balance the natural and the abstract, the timeless and the modern, order and chaos, control and letting go, in ways that make Calder’s pieces absolutely unique in the world of art.